TripleComp x86 has been tested with Cubase, Nuendo, WaveLab, Ableton Live and PowerTracks Pro. The x64 version was tested with Cubase (64 bit), Premiere CS5 and Sony Vegas 9 (64 bit). In demo mode TripleComp provides full function, but every now and then pops up a message window to remind you that TripleComp 1.5 is shareware. 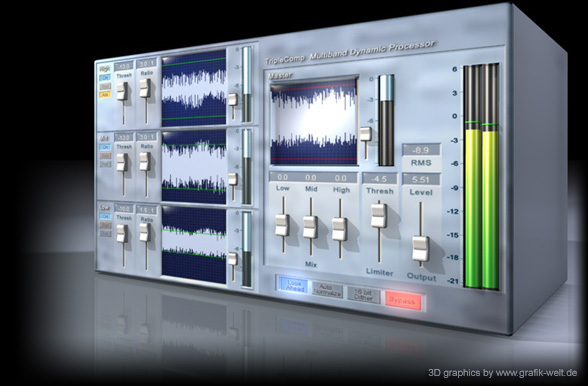 Download the TripleComp 1.5 demo ! So registering TripleComp 1.5 should be quick and easy.